We’ll work with you to refurbish old ponds or build new aquatic areas from scratch. Our design plans take into account all the factors of your surrounding environment, such as watershed and soil composition, to create a lake or pond..
At Clearwater, we’ve developed an environmentally safe product to clear muddy water with absolutely no harm to fish or surrounding environment. Clearwater Consulting creates beautiful, productive water—overnight! Our staff of qualified professionals have extensive experience in fisheries management and freshwater science. Electro-fishing is a safe and effective way of surveying a lake’s fishery. Clearwater’s techniques can creates beautiful, productive water—overnight! Large-mouth bass, catfish, seasonal trout, and all biological control species. Clearwater Consulting is the industry leader in biological control of aquatic vegetation. Clearwater will plan, design, and construct a lake or pond for your specific needs. “Clearwater Consulting executed a treatment plan to target extreme infestations of Water Hyacinth on Water front properties along Bessie’s Creek. They employed both Helicopter and Airboat assaults on the dense mats and completely eradicated this exotic species from our waterway. 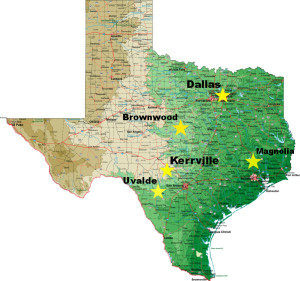 They completed the eradication without damaging the native plant and tree species indigenous to the Gulf Coast region of Texas. To this day the Water Hyacinth has not returned. Clear Water Consulting has been involved with our lake and fisheries management for over four years. Their overall knowledge and professionalism is second to none. Everyone I have come in contact with from Clearwater, from top to bottom, has shown the utmost care and respect for the property and the owner’s wishes. We originally contacted them to clean up our lakes. Algae and weeds had gotten out of control. They did a marvelous job of clearing up our lakes and in turn, gained my owner’s confidence which then led to fisheries management. 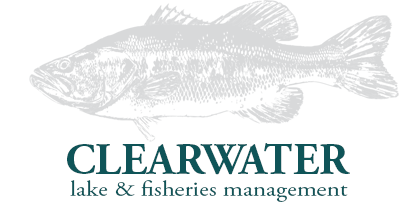 Clearwater is actively involved in making the fishing here second to none for our owner.